Yesterday, the weather in Denver was gorgeous. 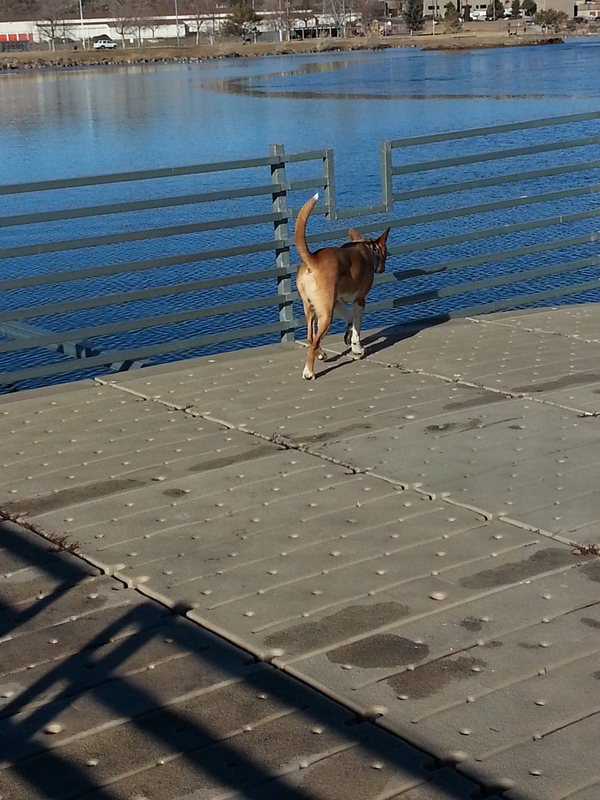 Diggs and I decided to take a quick jaunt down to a local park with a lake to enjoy the nice weather while it lasts. Fair warning, lots of pictures in this one. 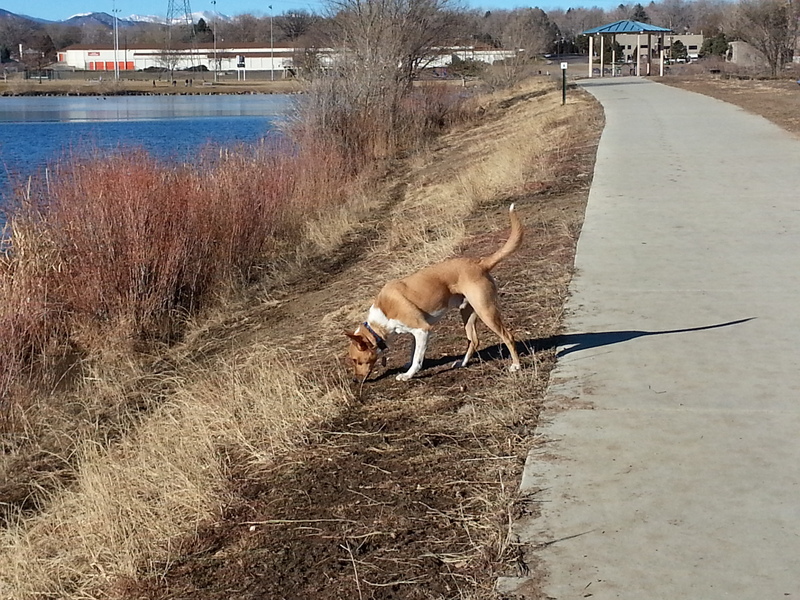 Once we got to a more empty part of the path, Diggs got to go off leash. As you can see, he really enjoyed being able to wander on his own. This was about the edge of my comfort zone though, but he was a good sport about coming back. 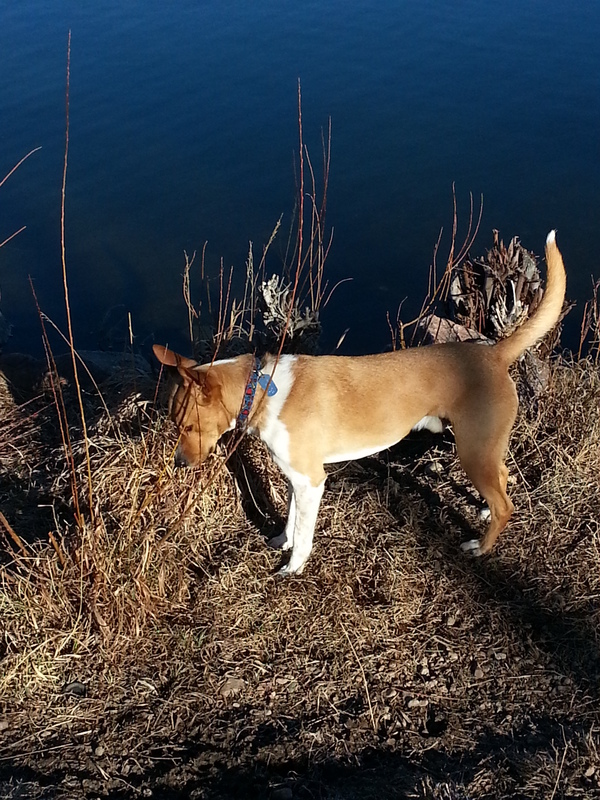 There were lots of things to sniff between the sidewalk and lake, he barely lifted his head up the whole time. Something in this bush was super fascinating. Who knows what it was? A duck, a duck! 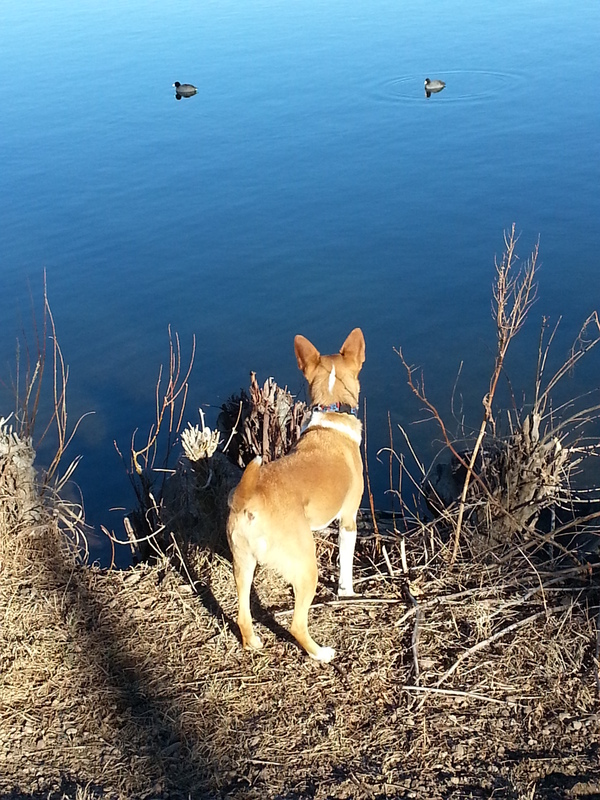 Actually, a pair of ducks who caught his attention. Until something else made a splash near the shore. 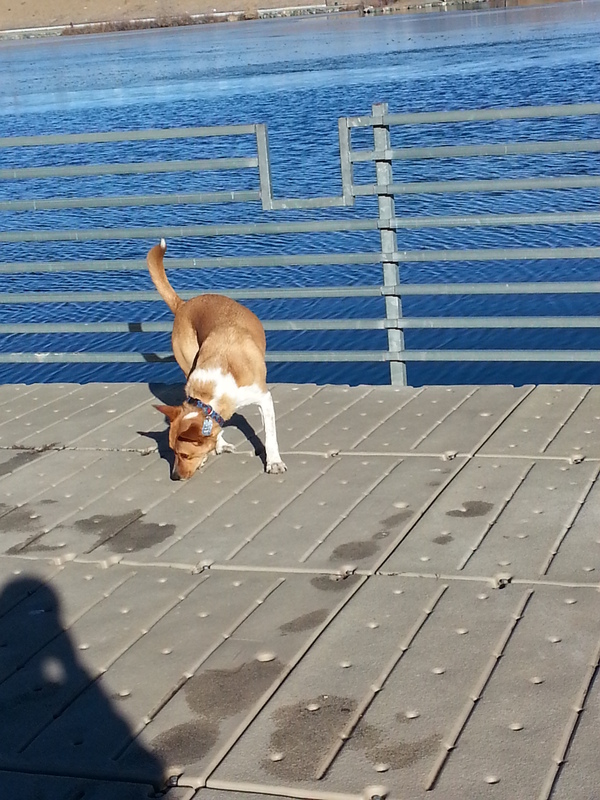 But he had fun exploring the dock. 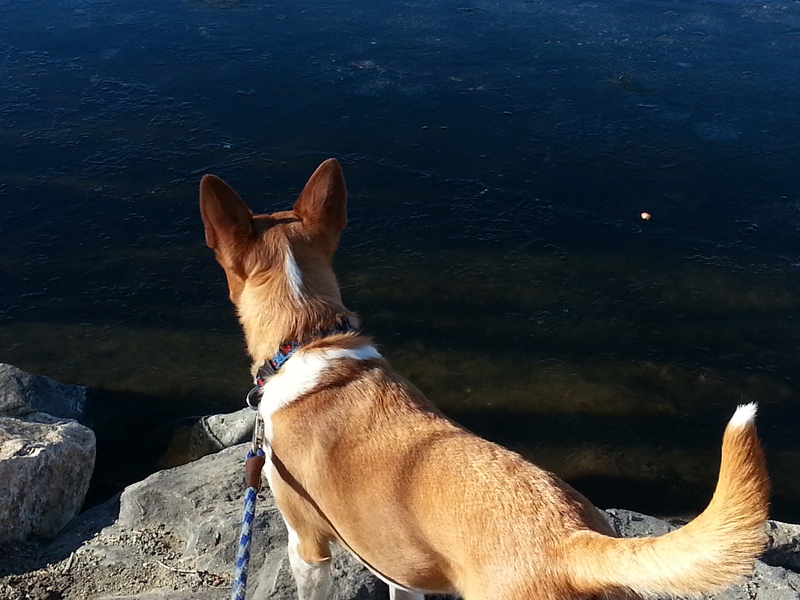 This is especially impressive considering his initial fear of water. 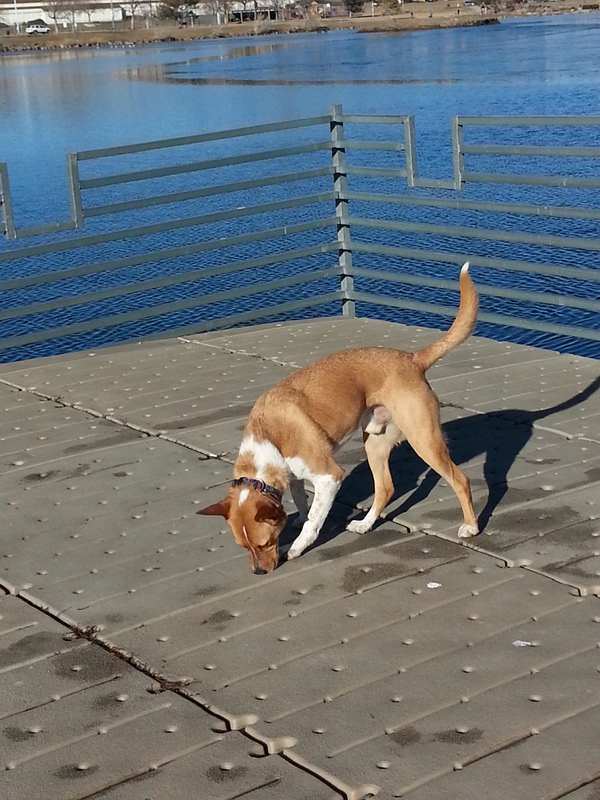 We came to this park 14 months ago, and he wouldn’t go out onto this dock. Hurray for improvements! And more sniffing. Are you seeing at theme yet? 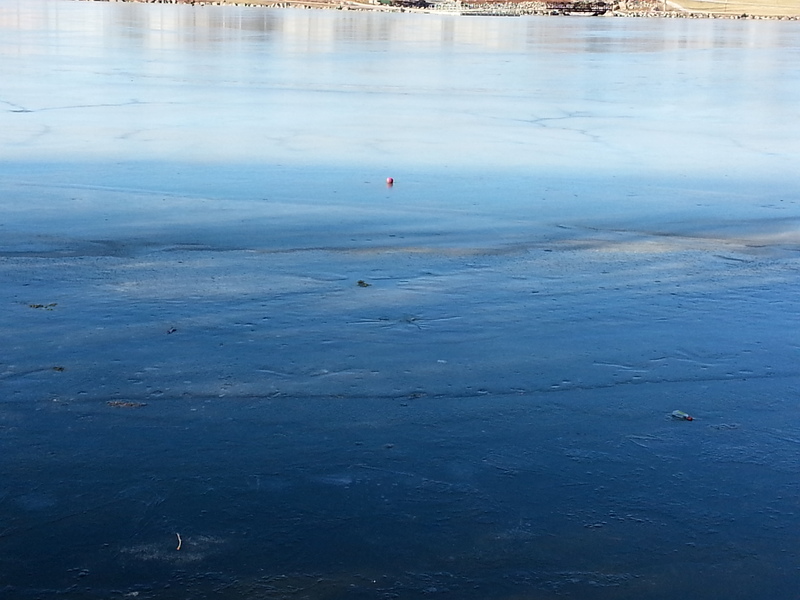 There was a ball out on the ice. See the red dot? 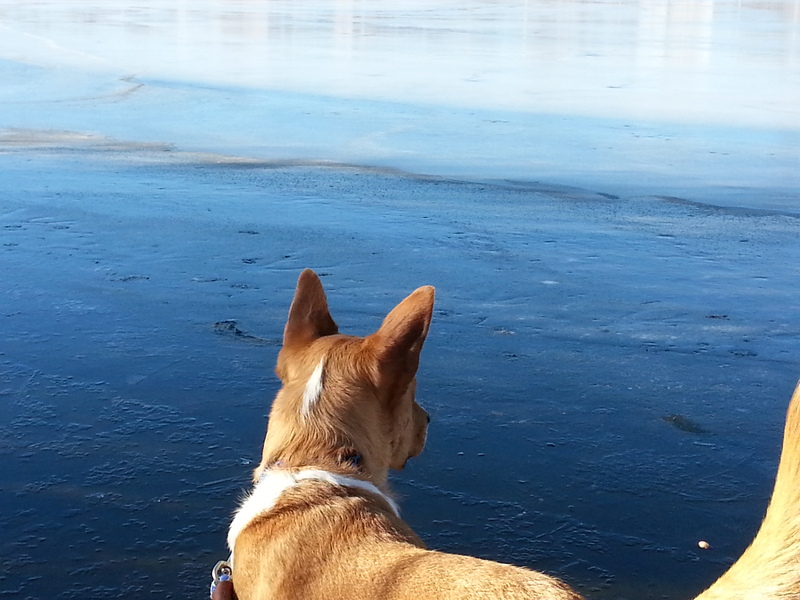 Diggs was debating whether or not he could get to it. 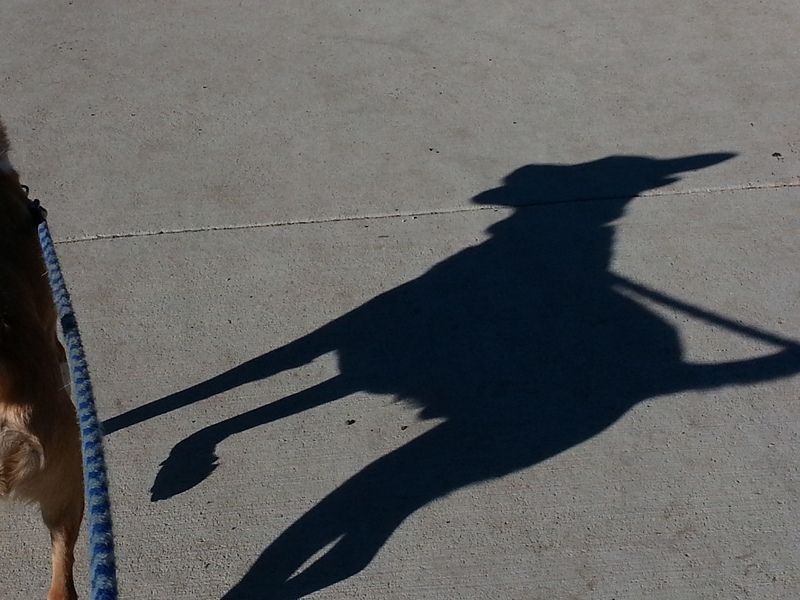 The leash was my answer, a big “no”. But a dog can dream, right? 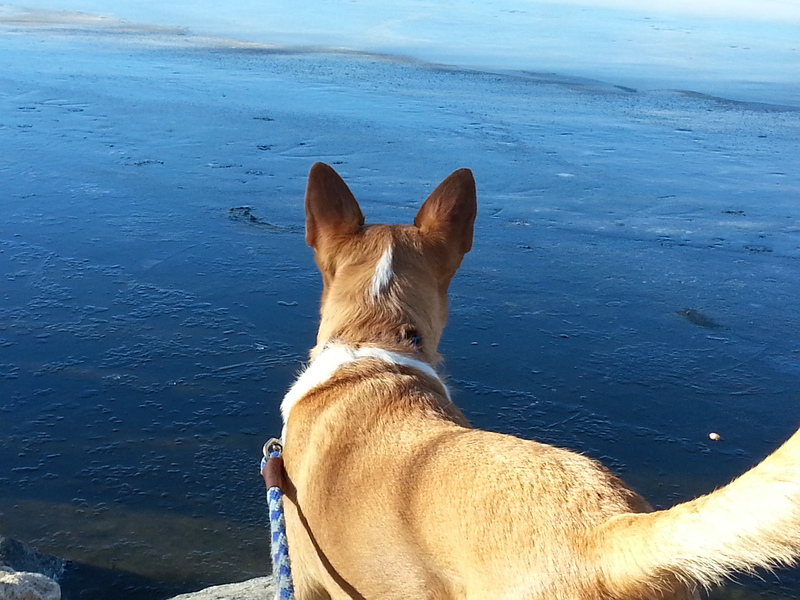 Especially when he sees that the geese can walk on the ice. 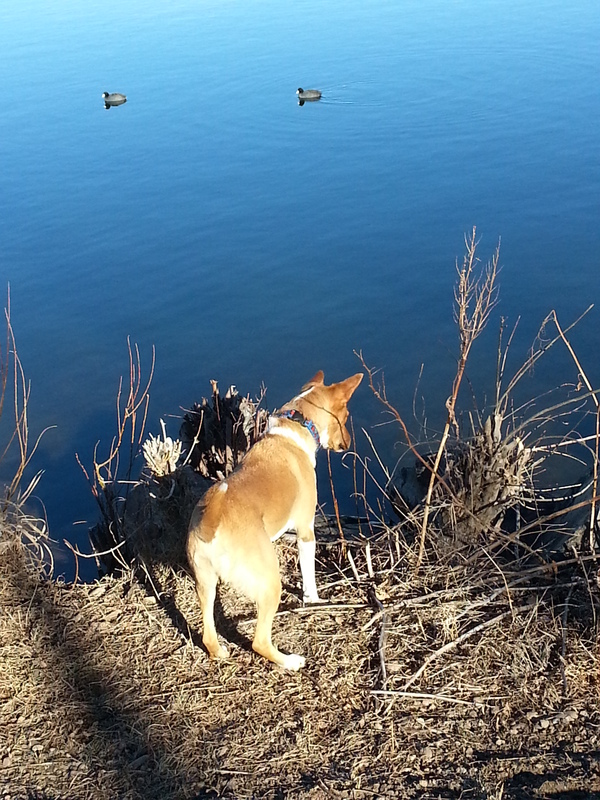 But the geese weren’t nearly as interesting as another dog coming our way. See the ear swivel? That’s the Diggs version of full attention. And that was our walk around the park. Hello, pretty weather! Edited- I was so excited to hit “publish” that I forgot to ask how everyone else’s weekend went? 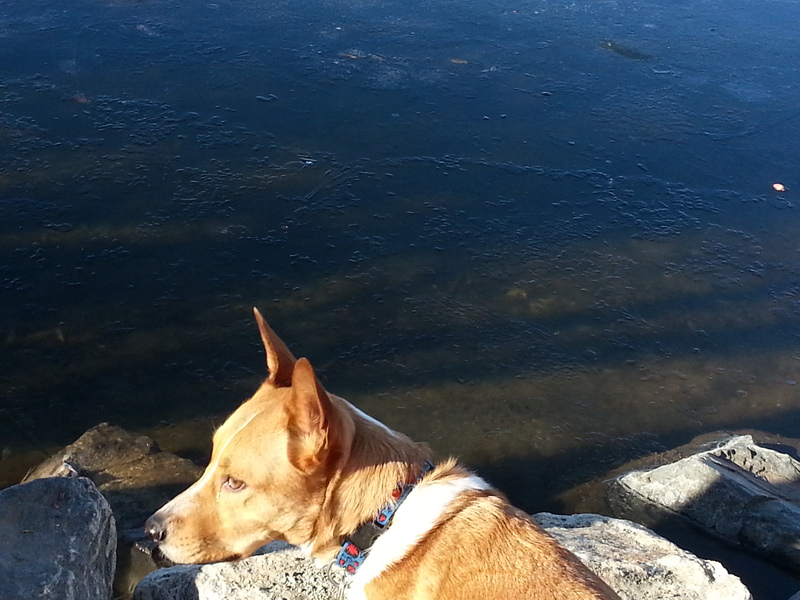 Did you and your four legged family get to do anything fun? This entry was posted in Diggs, Family, Training and tagged Diggs, Fear, Park. Bookmark the permalink. 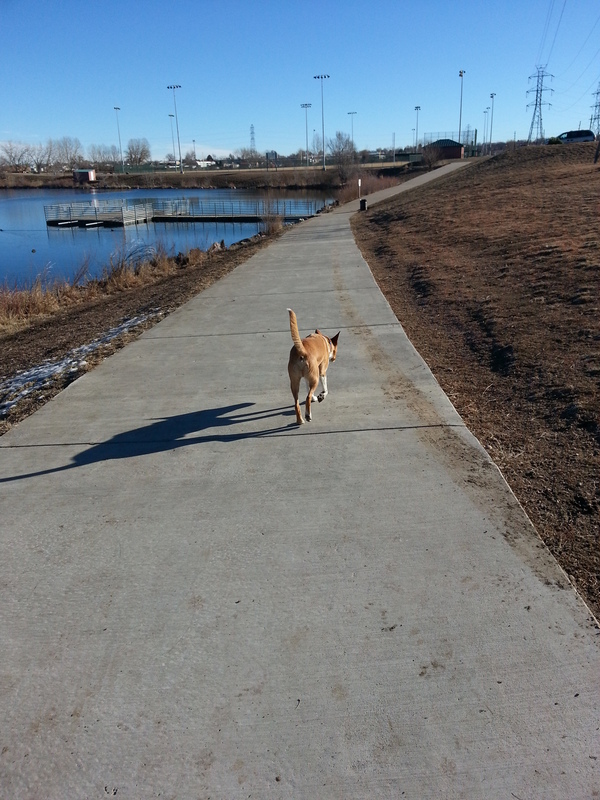 What a beautiful walk, Diggs! We got to walk, too. It was great! I bet it was, especially if you three got to go enjoy the sunshine together. Hopefully this weekend is just as fun! Diggs is such a good looking guy! I love the little white strip on the back of his neck. His white strip reminds me of Ruby’s kerchief on her neck. It’s one of my favorite markings on him. Oooh, what a great place to go walking and sniffing! Can I come?